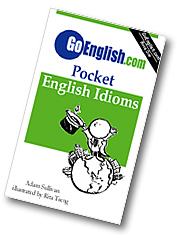 Today's Idiom = "A Friend In Need Is A Friend Indeed"
A friend in need is a friend indeed says that people often act friendly when they want to get something from us. Example: "Hey buddy, how's it going? You look good. I love your jacket. Do you think you can give me a ride home?" Reply: "A friend in need is a friend indeed." A friend in need is a friend indeed can be said when you notice that someone is being extra friendly to you and acting like your good friend as a way to get you to give them what they need.